This Chinese Evergreen is one of the easiest plants to grow. 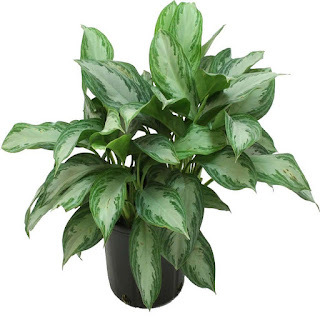 I'm in charge of taking care of all of the office plants at work and this is the go to plant for replacements in a pinch. That's about all there is to it even. Near the front we have some really big plants with lots of shoots on them. When I need one I just go over with a knife or other sharp instrument and cut off a shoot about a foot and a half long. Then I strip it down to about eight to ten leaves, stick it in the dirt, and water. Within a week they start making good roots and thrive well. I've done this several times where other plants just don't want to grow. This is one plant you don't have to worry about if you give it a little much water either. You can nearly drown them in water and they just soak it up. The big plants up front get about a quart of water every other day. If you forget to water or have to go out of town they don't mind that too much either. Those same plants have gone without further watering for two weeks with no fuss. On the down side they don't like to get too tall. After a while the weight will pull them down and they will want to root again. When this happens though just cut the top off and root it somewhere else. It will replace it with new shoots.